For bigger jobs, the capacity has to be right, as does operator comfort. The Solo 408 of the basic line, with shoulder strap and his 5,0 L volume, offer plenty of capacity to be able to spray a few additional square metres. Just a few pump strokes are enough to build the maximum spray pressure of 2 bar inside the transparent plastic tank. 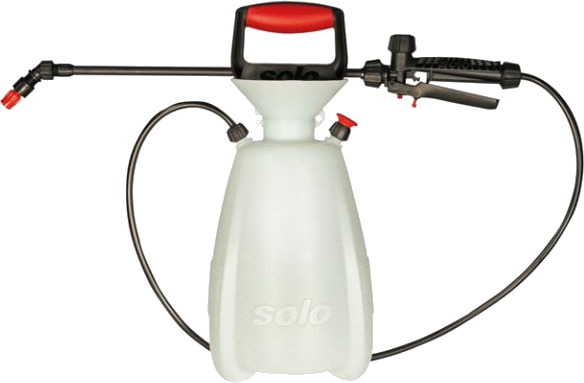 The Solo 408 is equipped with the new carrying and pump handles. 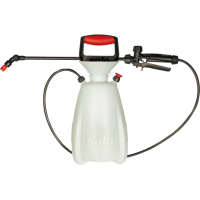 In addition, the broad range of Solo sprayer accessories is available. The wide, funnel-shaped filling aperture facilitates clean and easy filling and draining. The adjustable universal hollow cone nozzle enables a variable amount of agent to be delivered.